The roof does more than just protect your home from the elements. It also plays a key role in enhancing the curb appeal and value of your property. As such, it’s important that you pick the right color scheme for it. Your choice of roof color can affect what kind of roofing material you’ll be using on your next replacement project. Signature Exteriors discusses more. Not all roofing materials have the same color palette. Wood roofs, for example, are restricted to earthy colors and wood stains. In contrast, asphalt, metal, and tile have extended color palettes and can come in a range of colors to choose from. It’s important that you establish what kind of colors you want your roof to have so that you can have an easier time deciding on the actual material you’ll be using. The most commonly asked question is whether to go for dark or light colors. There is no right or wrong answer as both are viable roofing colors with their own strengths and weaknesses. Darker roofs are more attractive as they are rarer, but they are also 10 degrees warmer since dark colors absorb heat better. Light colored roofs are ubiquitous and may appear plain, but they are cooler than darker colored roofs and can positively affect the energy efficiency of your home. 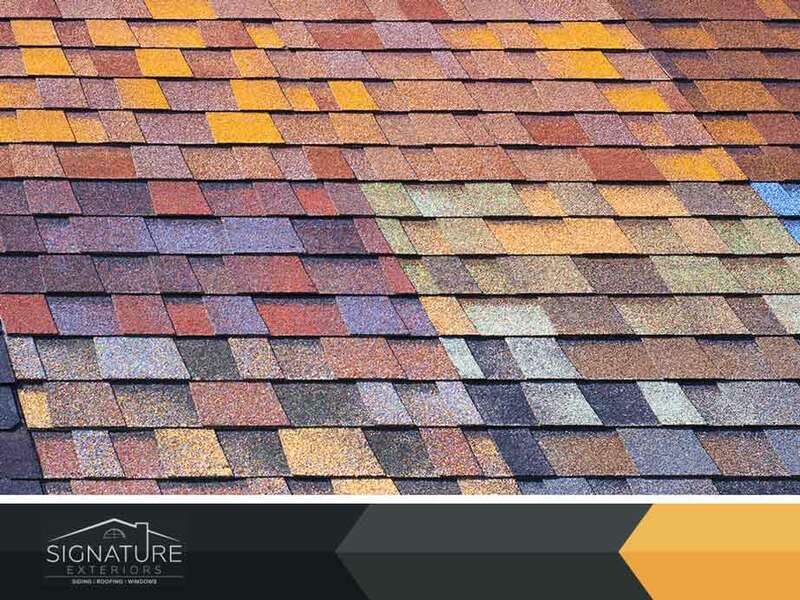 As a general rule, the color of your roof shingles must correspond to the color of your house’s brick. This doesn’t always mean that the colors have to match. It can contrast as well. The typical red brick, for example, contrasts well with browns, yellows and other neutral tones. At Signature Exteriors, we can help you pick the most appropriate color for your new roofing system. We offer a range of high-quality shingle options from GAF. Call us today at (866) 244-8029 to learn more about our services. We are roofing experts in White Plains, NY, Westchester, and other parts of Connecticut. « What Causes Roofs to Curl	» Roof Repair or Replacement: Which One Makes More Sense?